You wake up strapped to a bed, inside an abandoned hospital. Find a way to save the patients, stop the psychotic doctor, and escape before it's too late. Explore the inner workings of Shady Pines and solve challenging mini-games in this immersive hidden object puzzle adventure game! 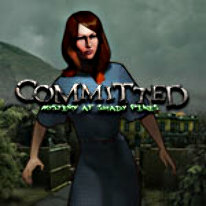 Uncover the truth about the doctor's twisted experiments in Committed: The Mystery at Shady Pines!